When you’re sending out a document, Signority can automate notification reminder emails to signers and send you email updates on the status of a document. You can always set your default automatic reminders and notifications from your Account Settings but there may be times when you need to set specific settings for individual documents. Begin by creating a New Document using the +New button. The process is the same as creating electronic signature documents but with a few minor differences. Add Recipients and specify their names and emails. Customize the Invitation Email and Document Settings. 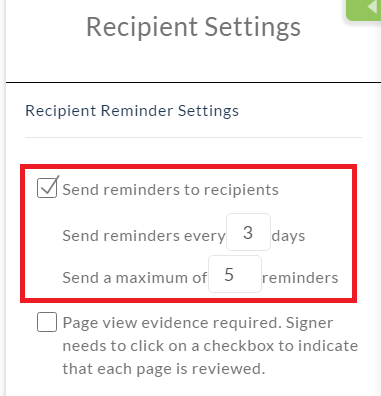 In the Recipient Reminder Settings, you can start by setting your notification reminders schedule. In the next step on the Editor page, go to the Settings next to the Document Title in the top left. Go to the Notifications tab. When you’re done, click Save and add Tags to the document before sending it out for signature. 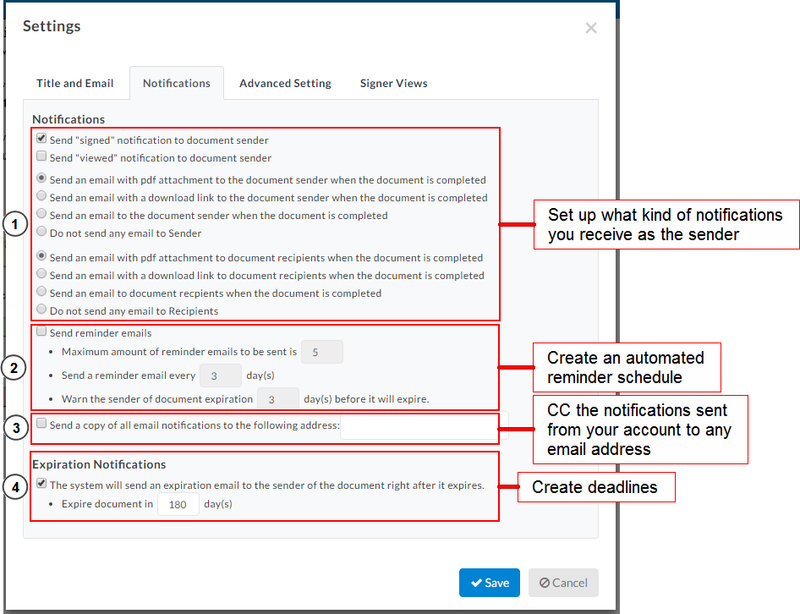 In the third section, you can copy all notification reminder emails to a specified email address of your choice. This lets you record all the interactions with your signers. And in the final section of the Notification Settings, create a document deadline and specify how long the document is valid for. Signority sends reminder emails to recipients every few days until they’ve signed the document or they’ve been reminded the maximum amount of times. If the document is completed, they will also stop receiving emails for the document as well. Most documents in sent through Signority are signed within hours or a few days of being sent, but just in case there’s a little delay, it’s always safe to set some reminders & deadlines.